Each Sky Lantern comes folded and individually packaged. 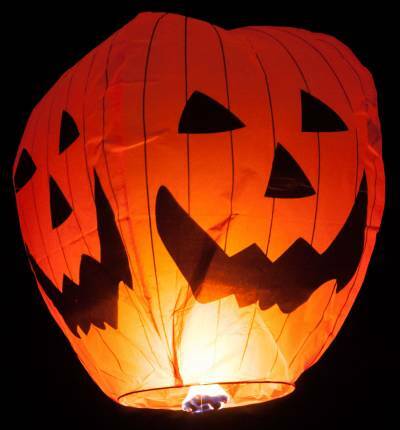 When fully inflated, our Sky Lanterns measure 36” tall, 16” in diameter at the base of the lantern, and 23” in diameter at the top of the lantern. Do not use if there is any wind. Buy a torch and get the fuel source fully lit as soon as possible. Let the lanterns heat pressure signal for you to let go. Don't force them up. Calm down. At first it's strange to use but you get real good at it real fast. The lanterns superior sells are premium quality. I've bought lanterns elsewhere for a little less and they were junk. Buy the 36 pack of Halloween and USA flags as they are real popular. Everybody here loves them and superior sells the best. MY great grand daughter turned 4 this Halloween and all she wanted was "Fireworks' since she enjoyed Jul 04 so much.